Body Mount Bushings for the Ford Explorer Sport Trac 01-05. 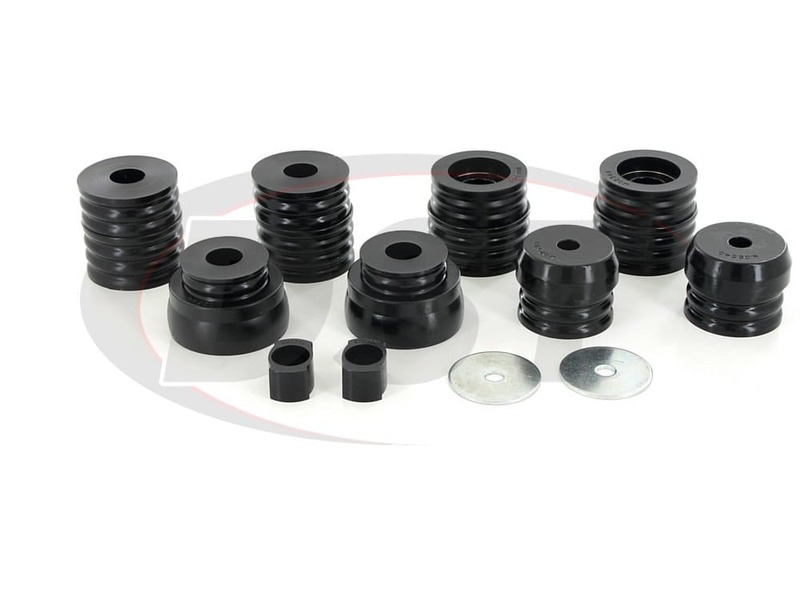 This body mount bushing kit fits the 2WD Sport Trac and the 4WD Sport Trac. 01-05 Ford Explorer Sport Trac Body Mounts 2 Wheel Drive and 4 Wheel Drive. Many times cab and body mounts are overlooked when replacing or upgrading your stock rubber bushings. mounts to insulate the cab from vibration. Each kit will come with enough bushings to cover all of the mounts on your Ford Explorer Sport Trac. This kit also contains the Radiator Core Supports as well.